Motel “BFFs With Style” Contest Winners! 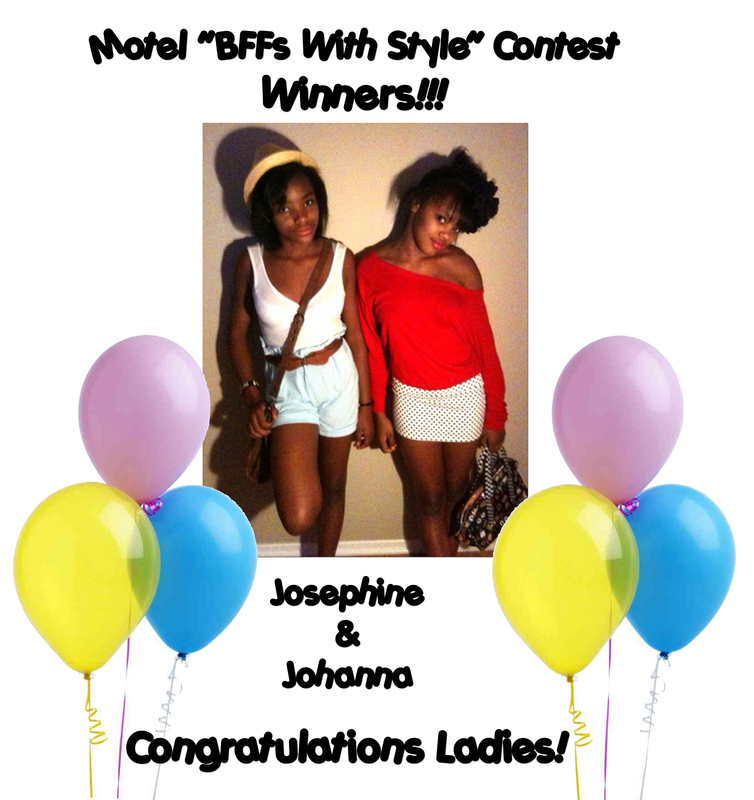 Without further or do…the WINNERS of the Motel “BFFs With Style” Contest are Josephine and Johanna! These stylish ladies each have won a dress of their choice from MotelRocks.com! THANK YOU to all our contestants. We appreciate you entering. Please stay tuned we have more giveaways in the near future!!! What kind of contest would like to see on http://www.SpikesandSequins.com? Let us know below and we will try our hardest to make it happen! contest idea: which is your favorite MOTEL dress and where would you & your bff go wearing it? ← Song of the Week!